One important thing that sets Terri apart from many other instructors is that she is well qualified to teach in multiple levels of all disciplines. (The exact levels are shown on the Lessons and Training Your Horse pages.) 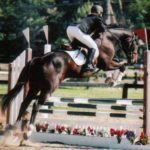 To keep up to date, Terri takes lessons herself, reads equestrian instructional books constantly, and practices what she preaches by successfully competing in numerous equestrian events every year. 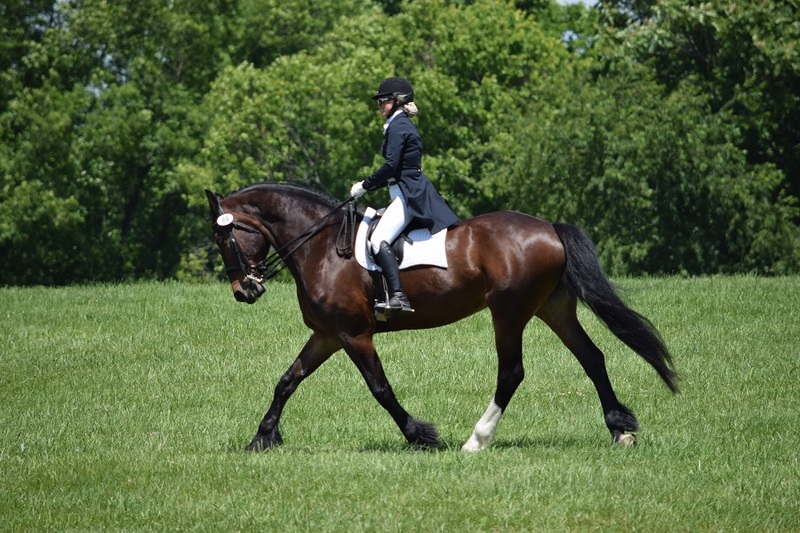 She is an active member of several local and national equestrian organizations. Her training produces results: her students often place at top levels in competitions and several have gone on to become instructors themselves. Terri started riding and taking lessons at age 8. 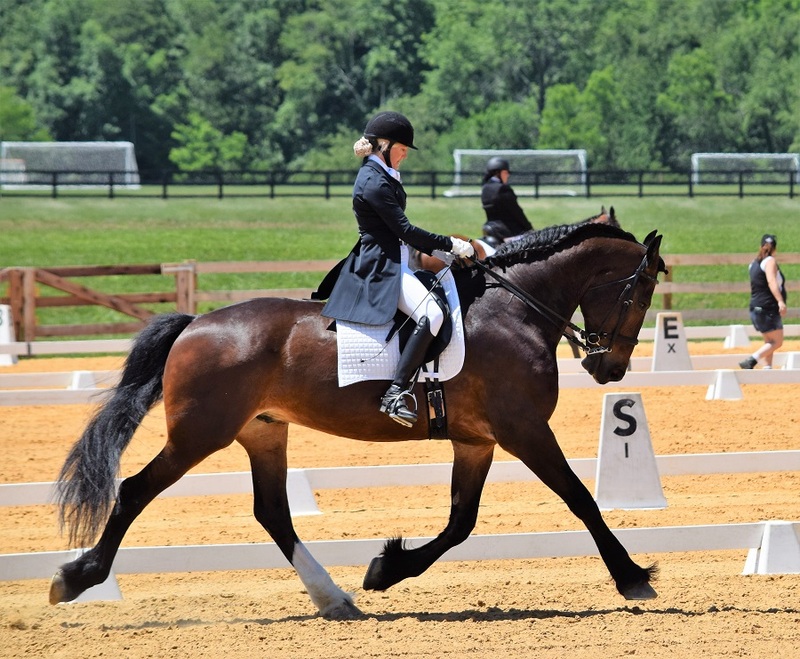 As a youth, she participated in the Herndon 4-H Club through the state level and competed at the Difficult Run Pony Club. 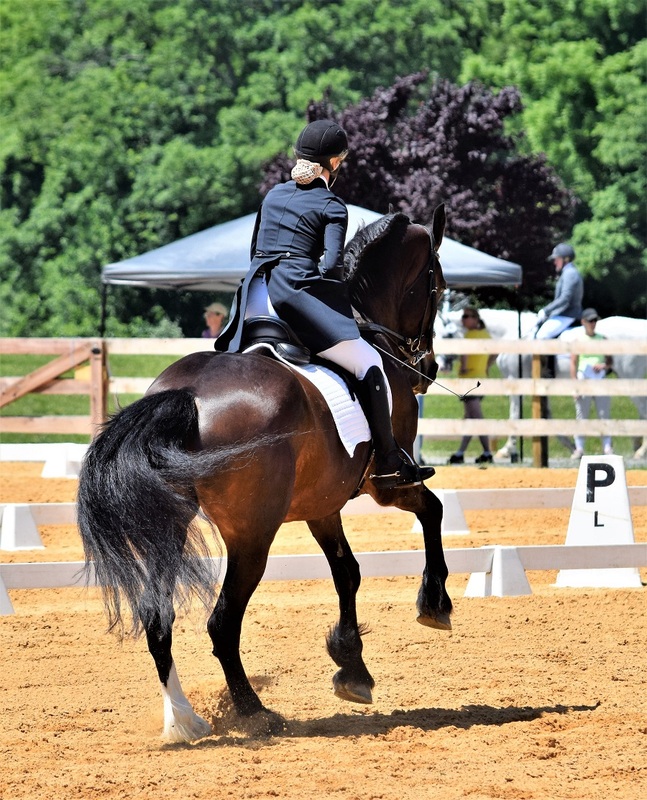 While in college, she was a member of the Team Ferrum Intercollegiate Show Team. 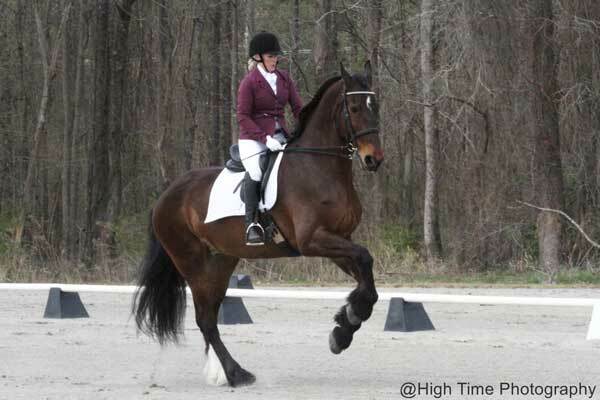 She has trained with Mary Flood (a USDF Gold Medalist) in dressage. She competed in the first U.S. eventing championships at Novice Level and has competed through Training Level at rated events for over 35 years. Terri has a USDF bronze and silver medal and is currently working on achieving gold. She is currently training with Holly Wilmoth, an FEI trainer and national competitor who has qualified members for the North America Junior Young Rider Championships. 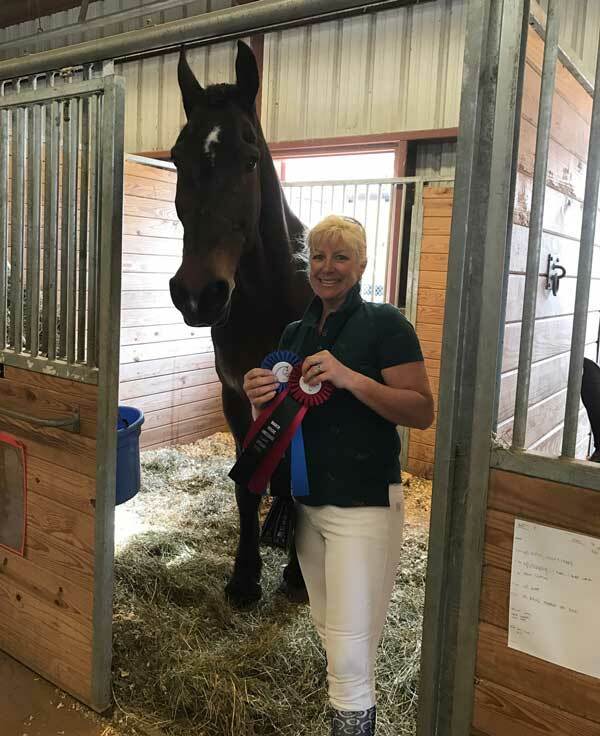 Congratulations to Terri and her horse Dutch King for achieving an overall champion and first place in Fourth Level Dressage at the 2017 USDF March Magic competition in North Carolina! 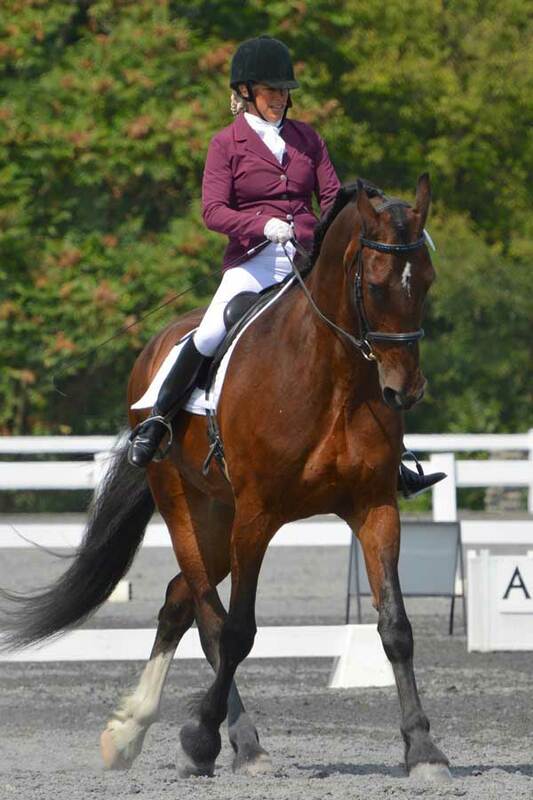 Also, in June 2017 Terri and Dutch King achieved a USDF silver medal at the FEI Prix St. Georges test at the Summer Dressage Competition held by the Virginia Dressage Association – Northern Virginia Chapter. Have been at Overlook Farm for probably 8+ years. First as students then as owners/boarders. Enjoyed the instruction by Terri both on the horse and off the horse. Her willingness to help and teach is matched by her vast knowledge of horsemanship. Plus if you come here, you are part of a wonderful family! If you are considering taking riding lessons, I highly recommend Terri Jones. Her dedication to the students is unparalleled. All her horses are very well behaved, which is a testimony to Terri’s work with them. We have been taking lessons here for several years now and have no regrets! Overlook Farm will be your new favorite riding barn! We loved Overlook Farm and Terri from the first meeting. And it just gets better and better! Coming to Overlook has been the best and will always be a VERY important part of our lives. A truly no-drama barn, love it! Love the large indoor barn, excellent training and beautiful turn-out. Terri is a one of a kind horse woman that takes care of my horse as if it were her own. 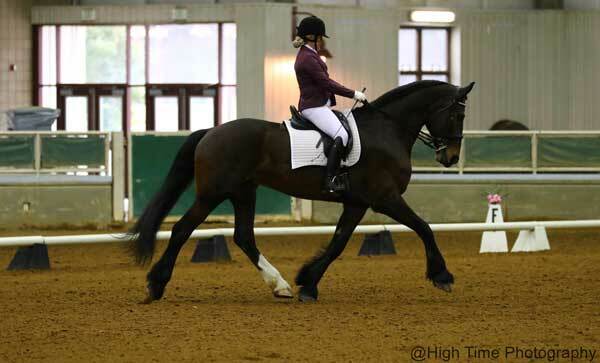 Perfect instruction and horses matched to your level of ability. Beautiful facility and grounds. You become part of the family. Really nice people, always an enjoyable experience. Not often found today is a business where respect, trust, honesty, and dedication come first! As the owner/ trainer of Overlook Farm, Terri Jones instills these identical standards to her students and riders. 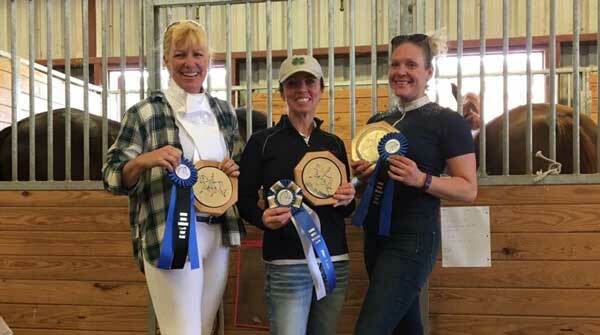 Terri’s success is evident in her students’ personal and riding accomplishments. Overlook is home away from home! The grounds are lovely, the barn is wonderfully maintained, and the atmosphere is warm and friendly. Terri is an amazing instructor – knowledgeable, even-tempered, and kind. I visited the local tack shop and the shop owner (who does not have her own horse) was so complementary on the clients at Overlook. She then proceeded to say that Overlook was such a happy barn and Terri Jones was the reason the barn was so happy. My daughter started lessons at Overlook Farm almost a year ago. She has been welcomed into the barn family and loves the school horses. Terri is patient and supportive as she works with each student to build confidence and skills. This is a wonderful environment for all levels of riders.